Compare the voting records of Bob Corker and John Kennedy in 2017-18. Represented Louisiana. This is his 1st year in the Senate. 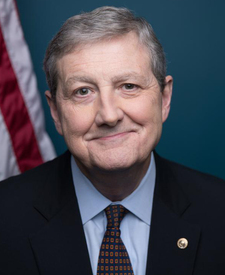 Bob Corker and John Kennedy are from the same party and agreed on 93 percent of votes in the 115th Congress (2017-18). But they didn't always agree. Out of 573 votes in the 115th Congress, they disagreed on 42 votes, including 9 major votes. May 16, 2018 — A joint resolution providing for congressional disapproval under chapter 8 of title 5, United States Code, of the rule submitted by the Federal Communications Commission relating to "Restoring Internet Freedom". Oct. 25, 2017 — A joint resolution providing for congressional disapproval under chapter 8 of title 5, United States Code, of the rule submitted by Bureau of Consumer Financial Protection relating to "Arbitration Agreements". Joint Resolution Passed by a margin of 0 votes. Dec. 2, 2017 — Of a perfecting nature. Cloture Motion Agreed to by a margin of 4 votes. Jan. 11, 2017 — To establish a deficit-neutral reserve fund relating to lower prescription drug prices for Americans by importing drugs from Canada. Amendment Rejected by a margin of 6 votes.